The Opposition parties believe the key to winning the General Elections is to remove Hon. Myron Walwyn from the race. The Chairman of the National Democratic Party (NDP) believes that the recent increase in nasty tactics is a clear sign that his opponents are running scared. “Let me be clear, I am still in the race. I cannot recall seeing Mark Vanterpool crying and I will lead this new NDP team to victory on February 25. I know that our opponents are scared. I know that they believe their key to election victory is to get me out of the way. And I know that their attacks will continue over the next few weeks,” Hon. Walwyn said in Purcell Estate on Thursday, February 7. Hon. Walwyn commented that he is impressed by the fact that they are after him, because it says that he has value. “You don’t go after dead people. But I will offer some words of advice to them tonight. The way to win elections in this country is very simple, do your work, be honest, be accessible and approachable, and the people will continue to vote you in. I can say that I have exhibited all of those qualities. So, no matter what you do, I will not go home until the people of the BVI say it is time for me to do so,” he related. The At Large Representative said that they have seen the actions of desperate people over the past weeks, using memes on WhatsApp and other divisive tools to plant seeds of doubt and fear in voters. “Values that emphasize civility and mutual respect, nevermind our disagreements or how we may feel about each other. At the end of the day, we are a small community, related to each other in countless instances, and, after this election, we still have to live here and cooperate with each other,” he emphasized. Hon. 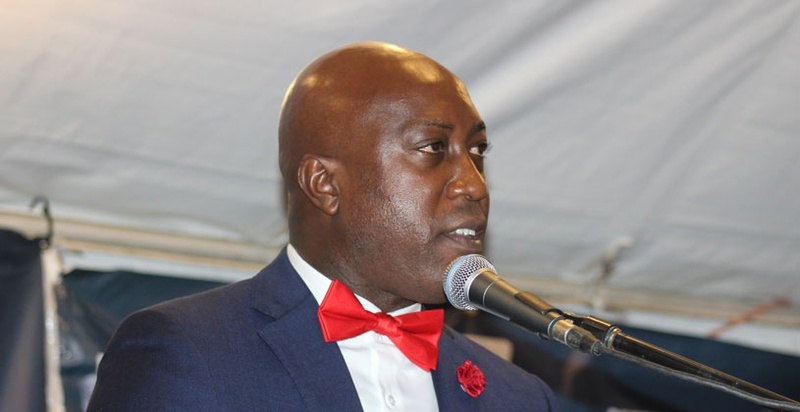 Walwyn said that residents have seen how seriously he took his responsibilities as Minister of Education and Culture, and it will be no different when he becomes Premier. “But I urge you the people to send a strong message to them on February 25, that the people of the Virgin Islands do not appreciate their reckless calls and vulgar behavior. It is not us. It is not of us and we ain’t taking it,” he stated. Okay, I like kinda like Myron but I need to know why he is always on the "Self Pity Train"? It is always woe be unto me with him. I am better of voting for a damn duck that any of the candidates that are running. So sickening man. Geeze. Our youth are better educated and have access to more academic options and opportunities thanks to the hard work of Hon. Walwyn and his team. Let us compare his tenure as Minister of Education to Hon. Fahie's tenure. The yellow site man tried his best on Saturday trying to make Walwyn look bad and Fahie look good but he failed miserably. He had a chance to mention one single thing that Fahie did to better the lives of the youth and he couldn't find one thing. All he did was talk nonsense all night and calling people nasty names. Is this what we want for this Territory? The next generation is watching. How can you speak of Accountability and Transparency Myron. May I remind you Myron V. Walwyn that 'The Writing Is On The Wall'. seemingly we say things to suit our convenience is he suffering from memory loss/ or he just trying to cover his ...? Last election he had a lot to say on the campaign trail. He and his party ridicule the representative for the 3rd district to the lowest degree, as if he didn't come from a mother. We must be mindful of what we wish for. "The world is round and what goes around comes back around", it is about MORALS & PRINCIPLE!!!! How can you talk about accountability and transparency and use the name Vanterpool in the same breathe. Are you really serious, a district that has been neglected, it's residence taken for granted. I can understand why the Hon Premier had him on his team. But you are asking us to support a complete failure, you are asking us to vote for him. I am asking you now, tell us if your party wins where are you going to place Mark Vanterpool. That question demands an answer before we the people will take you serious. Nothing personal against the guy, but he is in way over his head. But what is the status of the police investigation?